Remember that amazing lemon shrimp scampi pasta you had eight months ago? No? Well if you're like most people and use Instagram to document your daily dining, you can order a 365 day calendar from Prinstagram and relive every meal you had over the past year. 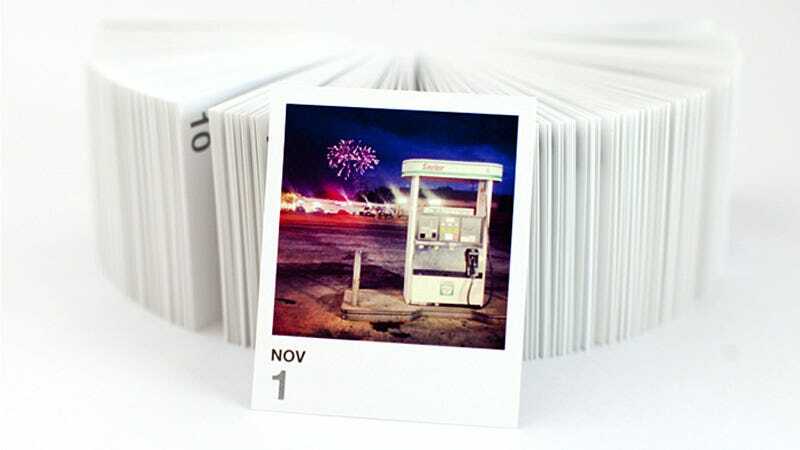 The service turns your Instagram stream into a daily tear-off calendar with the month and date printed over the image, or below it. You can even opt to have no date printed at all, but instead of a calendar you'll really just be getting a notepad you can't really write on. And at $40 you'll probably want to make sure you at least have 365 photos in your Instagram stream to make it worthwhile. Otherwise you might find yourself reliving the same photo from day to day, like a horrible real-life version of Groundhog Day minus the charm of Bill Murray.